A fighter sim just isn’t realistic unless it makes you throw up and scream for your mother, which is why the sadistic folks at Australia’s Deakin University created the Universal Motion Simulator. 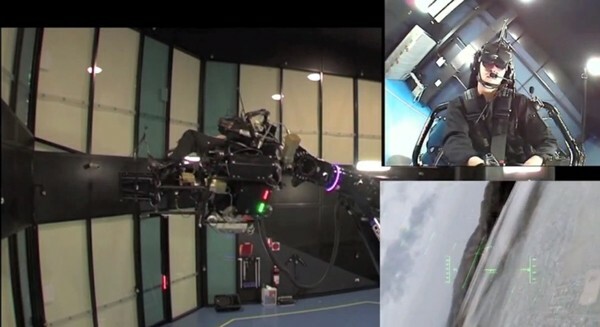 It’s a barebones cockpit attached to the end of a seven-meter robotic arm that can pull up to six Gs — indeed it’s uncomfortable enough to mimic external disturbances, mechanical failures and crash scenarios as well as normal flying. The system also monitors a pilot’s brainwaves, pulse and other bodily functions to discover if they have necessary nerve. Check out the video after the break and then imagine combining it with a 360-degree viewing dome for utter perfection.